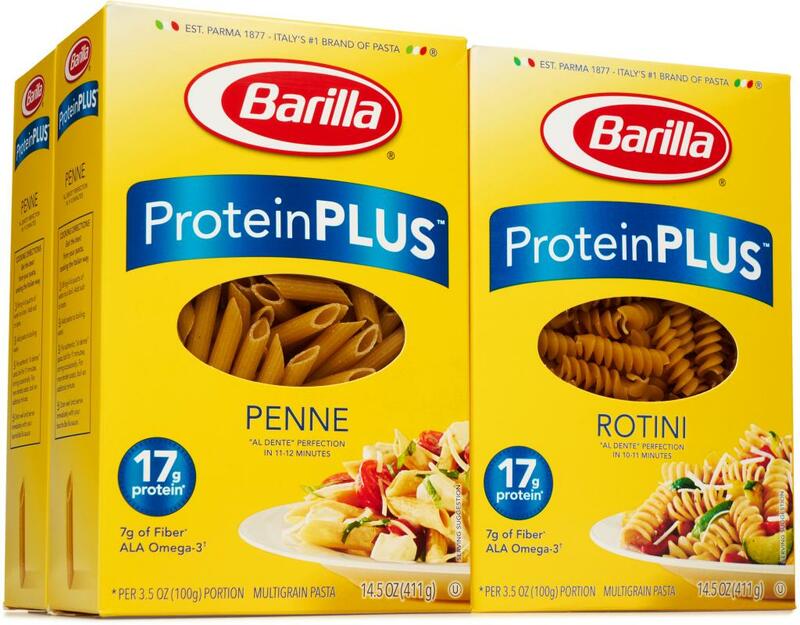 Barilla ProteinPLUS, pasta with protein power is ready to fuel the whole family. With 17g of protein from all-natural vegetarian ingredients, Barilla ProteinPLUS pumps them up. 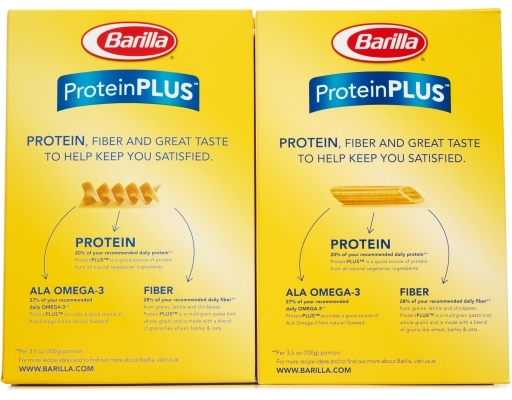 Barilla ProteinPLUS is the delicious, wholesome pasta with protein and fiber to help keep you satisfied. Penne is one of the most famous Italian pasta shapes, and is a specialty of the Campania Region in Southern Italy. Penne, which means "pen" in Italian, gets its name from its tube shape with angled ends cut to resemble a quill or pen point. Penne have ridges, which allow them to hold more sauce. 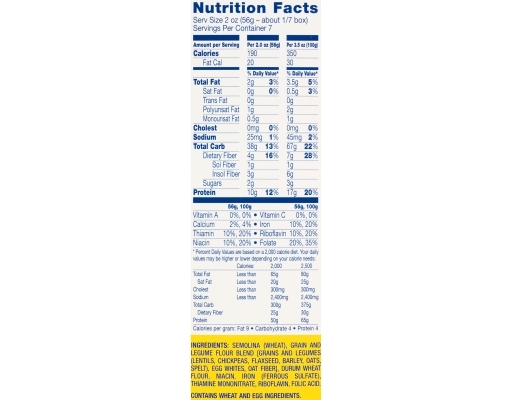 ProteinPLUS pairs well with tomato-based sauces and sauces with lots of fresh vegetables. Oil-based sauces work well with all ProteinPLUS shapes. 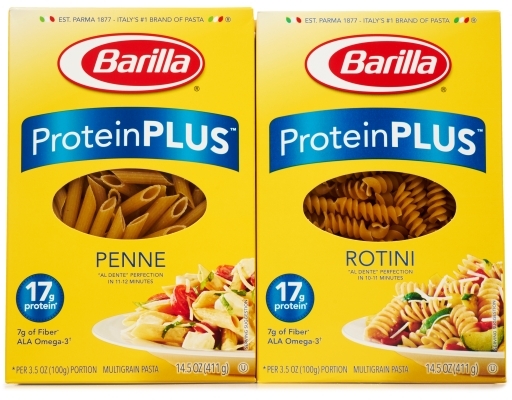 Cook Barilla ProteinPLUS in boiling water 11 minutes, then drain and serve according to the recipe directions. For more tender pasta, boil an additional minute. Due to its higher protein content ProteinPLUS takes several extra minutes to cook than traditional pasta. 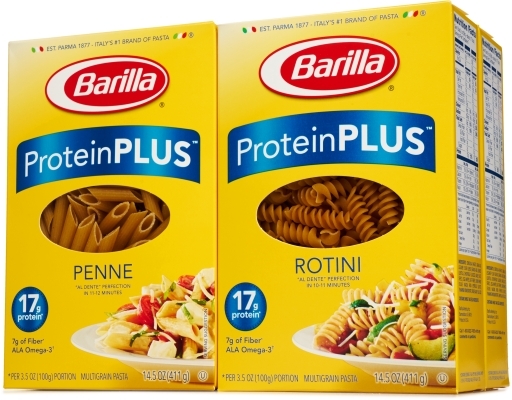 Rotini means "twists" and are two-inch lengths of thick screw-like pasta from Northern Italy. The shape was inspired by children, since it is fun to eat and pairs well with a wide variety of sauces. The twists of Rotini allow it to hold more sauce. They may be enjoyed with your favorite pasta salad dishes or paired with tasty tomato-based sauces. 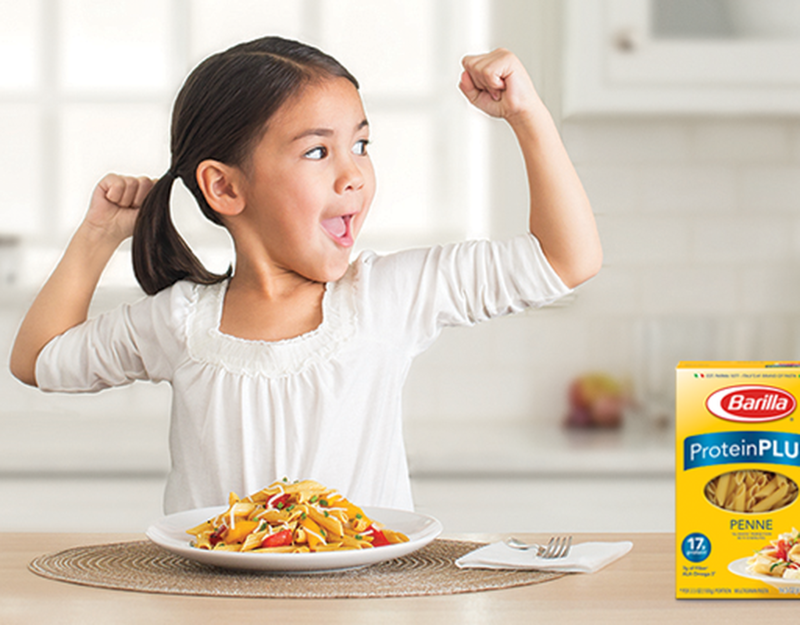 ProteinPLUS pairs well with tomato-based sauces and sauces with lots of fresh vegetables. Oil-based sauces work well with all ProteinPLUS shapes. Cook Barilla ProteinPLUS in boiling water 10 minutes, then drain and serve according to the recipe directions. For more tender pasta, boil an additional minute. 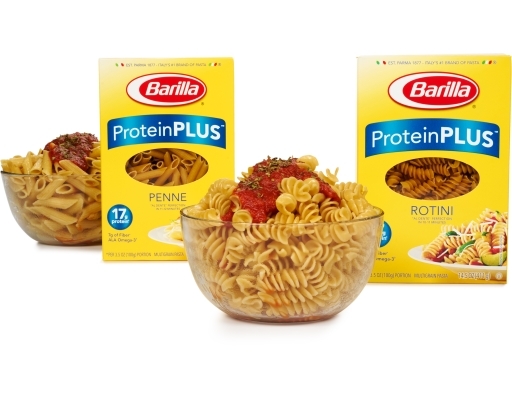 Due to its higher protein content ProteinPLUS takes several extra minutes to cook than traditional pasta. Semolina (Wheat), Grain And Legume Flour Blend [Grains And Legumes (Lentils, Chickpeas, Flaxseed, Barley, Oats, Spelt), Egg Whites, Oat Fiber], Durum Wheat Flour, Niacin, Iron (Ferrous Sulfate), Thiamine Mononitrate, Riboflavin, Folic Acid.